Georg Jensen Moonlight Grapes Open Sterling Silver Ring3561140 With a history that spans more than 100 years, the Georg Jensen brand represents quality craftsmanship and timeless aesthetic design across all of its jewellery. The philosophy of Georg Jensen himself was to create democratic designs possessing both functionality and beauty. His artisanal skill and artistic talent combined with his continuous ability to identify and support design talent was the foundation on which he built Georg Jensen in Copenhagen in 1904. Originating from Georg Jensen designs from the early 1900Š—Ès Art Nouveau period, the Moonlight Grapes collection gives the iconic grape motif a modern and contemporary twist. Sculptural and feminine, this collection inspires beauty in the powerful women who wear it. 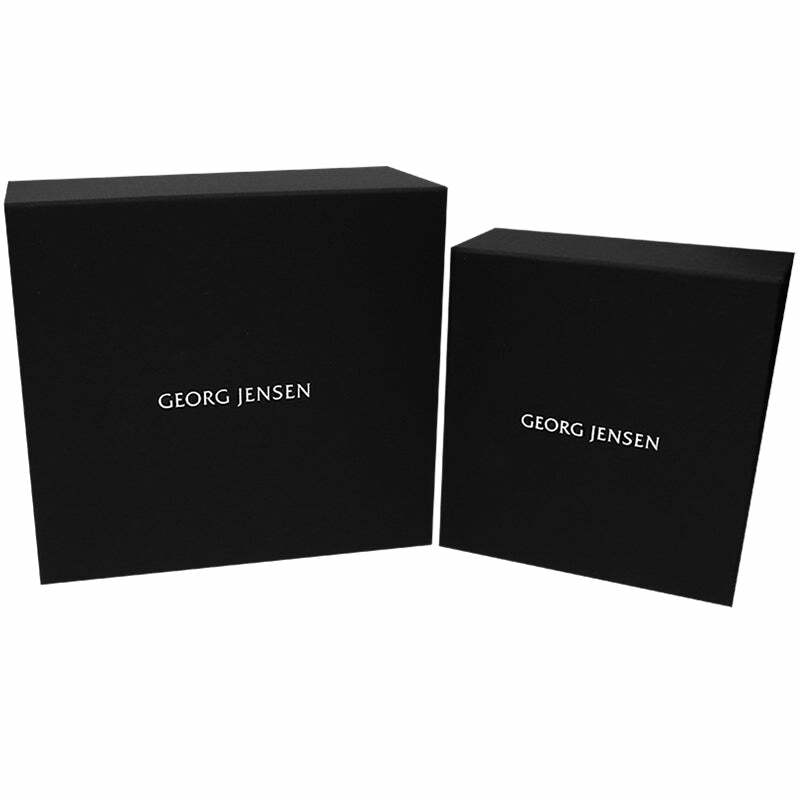 This ringcomes beautifully packaged in aunique Georg Jensen presentation box.